UX Meetup is having its second event on Design Thinking. October 23rd at 7:00pm, all designers are invited to join and learn about different ways for teams to be creative and innovative. Design Thinking stresses the importance of cultivating empathy for end users, interpreting and framing problems they experience, creative solution generation, and continuous prototyping and testing. 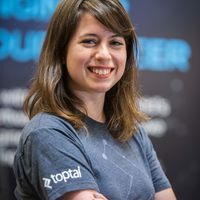 Join Merve Postalcioglu, a Toptal designer, UX consultant, and Design Thinking trainer, as she shares 5 steps of design thinking and some successful case studies from throughout the world.